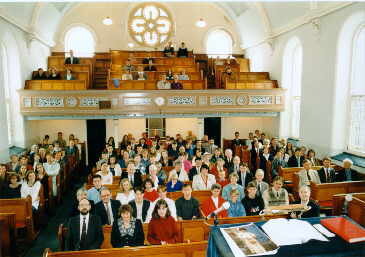 Image: The congregation of Alfred Place Baptist Church in Wales. Largeness of numbers and apparent success are not the criterion. The Lord will “try every man’s work of what it is”—not “how much it is.” Quality is what counts. Reality is what matters. So many churches justify worldly methods by pointing to increased attendances. As Dinsdale T. Young once pointed out, the only full place of worship recorded in scripture is the temple of Baal (2 Kings 10:21)! Being full of the Lord’s presence and favor counts for infinitely more, now and forever.